Pick up your badge, Gala tickets, and conference materials at the Registration Desk - East (will be just inside the Conference Center entrance from the breezeway connecting the Conference Center to the hotel). Once you're checked in, head on over to the Greenland Exhibit Hall for a cup of coffee and to visit with our exhibitors before the conference begins. This session focuses on positive, life-affirming, constructive communication and stress management techniques that help us better cope with a condition whose boundaries for now are essentially out of our control. In Ms. Wayman's educational, entertaining and enjoyable presentation, she provides the tools and inspiration to fight a battle where loss is not the inevitable outcome. Individually and collectively, we would be wise to pay heed to her empowering message. Laura Wayman, "The Dementia Whisperer"
Laura Wayman's vision as an innovative dementia care expert is to provide families and professional caregivers with information and practical tips to help them navigate the various challenges that are common when caring for someone with Alzheimer's disease or any dementia or memory loss. 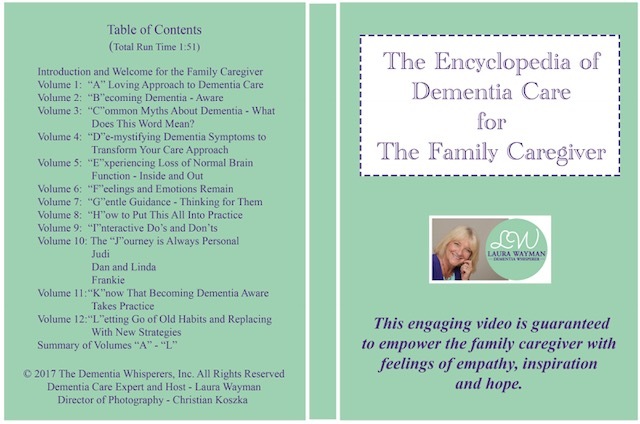 Laura has presented as the keynote or break out session speaker to over 500 audiences nationwide over the last 15 years, positively impacting professional dementia care providers and family caregivers from all walks of life, including thousands who attended Denver University Senior Law Day 2015, the Alzheimer's Association (Houston, Memphis, Grand Junction and Sacramento chapters) caregiver workshops, H.I.C.A.P. Annual Retreat, Music Partners in Healthcare, Placer County and El Dorado County Adult System of Care seminars and various dietary, assisted living/memory care and hospice conferences. Laura's books and DVDs may be purchased on her website. Lunch will be served in the Greenland Exhibit Hall. Come learn about complementary and integrative health (CIH) approaches to healthy aging and to the improvement of quality of life in seniors. Dr. Finnell will introduce you to and help you to understand the concepts of lifespan, healthspan, and how to promote healthy aging via connection, recreation, nutrition, relaxation, and meaning. He will teach you how to assess nutritional status and identify key nutritional needs in seniors, help you understand herb and nutrient indications and contraindications, explain how to recognize potential drug, herb, and nutrient interactions, and impart time-tested wisdom and clinical pearls for the promotion of healthy aging and quality-of-life in seniors. Dr. Finnell is an Acupuncture and Oriental Medicine practitioner, a Doctor of Naturopathic Medicine, and a researcher in complementary and integrative medicine (CIM). He earned his Doctorate in Naturopathic Medicine and his Master of Science in Acupuncture and Oriental Medicine from Bastyr University in Kenmore/Seattle, WA. Dr. Finnell's approach is to educate his patients on proper living and prevention, to stimulate their body's natural ability to heal, to identify the cause of disease, and to treat the whole person. He provides supportive care and individualized treatment plans for his patients. In addition to acupuncture and herbal therapies, he also incorporates dietary and lifestyle recommendations into each visit. The tenet in Chinese medicine of treating the root (cause) of disease instead of the branches (symptoms) is of primary importance in Dr. John's approach. "This principle is very appealing to me because it is through removing the obstacles to cure that we are able to allow the body to heal," he says. "My patients appreciate this perspective as well because it empowers their transformation by allowing them to make changes in their own lives." It was his training Naturopathic and Chinese medicines at Bastyr University that laid the foundation for his life's work as it has unfolded today. To support his lifelong commitment to improving the health of individuals and communities as a clinician, educator, and researcher, he completed a Master of Public Health (MPH) in Epidemiology from the University of Washington School of Public Health in Seattle. In addition, he completed both pre-doctoral and post-doctoral clinical research fellowships with the National Institutes of Health National Center for Complementary and Integrative Health (NCCIH). Now that he is at AOMA as an administrator, a professor, and a practitioner, he is using his expertise and years of training not only to help his patients regain their health but also to train the next generation of clinicians and researchers. This session will cover various mechanism to finance your ALF, whether you are a start-up, need to construct a new facility, remodel an existing facility, buy an existing facility, or refinance debt. You will also learn how to improve your chances of getting an approval. For almost 50 years, Eduardo has been married to his high school sweetheart, Nancy. Together they have two children and one grandson. Eduardo (with Nancy's invaluable support) worked his way through college and earned a BBA from UT-Pan American (now UT RGV) in Edinburg, Texas. Our trade show gives you access to the products and services you need, and the opportunity to speak directly with the business partners who offer them, to give them direct input into what you need to improve the lives of your residents. Breakfast will be served in the Greenland Exhibit Hall. Over 80% of older adults have a chronic condition such as diabetes, heart disease, lung disease or arthritis. Chronic disease accounts for seven out of every 10 deaths in the US and 75% of healthcare costs. The Texas A&M Center for Population Health and Aging (CPHA) focuses on creating collaborations between clinical and community based organizations to combat the damaging physical, mental and financial effects of chronic disease. In this presentation, CPHA staff will demonstrate how communities of care can help their patients become their own healthcare advocate through low cost, non-pharma programming proven to be effective in improving patient health while reducing healthcare costs. 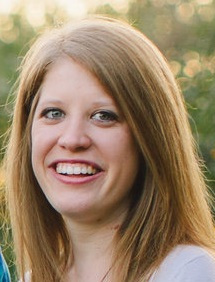 Katharine Tuck, CHWI, received her Bachelor of Science in Psychology in 2015 from Texas A&M University. She currently works as the Program Assistant at the Center for Population Health and Aging where she assists with the implementation and dissemination of proven health and wellness programs for healthy aging locally and throughout the great state of Texas. She is a Master Trainer for the Self-Management Education Programs developed at Stanford including the Chronic Disease, Diabetes, and Chronic Pain Self-Management Program. Additionally, she is Lay Leader for the A Matter of Balance and Texersice Select Programs. As a graduate of Texas A&M University, she has been able to combine her love of psychology with self-management skills by training and leading Self-Management Education Programs to encourage healthy aging. 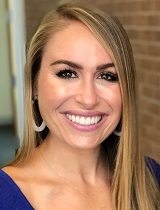 Ashley Wilson is a Research Associate in the Center for Population Health and Aging at the School of Public Health (SPH) at Texas A&M University. Throughout her career at SPH, Ms. Wilson has focused her efforts on project evaluation and the dissemination of various CDSME and other Evidence-based programs that have been implemented both across the state of Texas as well as nationally. Ms. Wilson currently helps to manage the SUSTAIN (Supporting, Unifying, and Streamlining in Texas through Active Integrated Networks) project. The goal of this project is to leverage resources and connect AAA’s, health systems and MCOs in order to provide and sustain CDSME’s across the state. Ms. Wilson is also been a Master trainer for several evidence-based programs including Chronic Disease Self-Management, Diabetes Self-Management, and Chronic Pain Self-Management, and A Matter of Balance. She leads Lay Leader trainings in the programs and thoroughly enjoys teaching the workshops to participants. Healthy aging is a personal interest of Ashley as well. She practices yoga on a daily basis, is a runner, and enjoys cooking fresh and healthy meals for her family, and in particular, for her 4- and 2-year-old children. Texans have weathered many life-threatening storms that brought with them massive destruction, and with each challenge, we learn new things about how to better equip ourselves to withstand the next one. Without some experience or background knowledge, the HHS emergency preparedness requirements can be intimidating, confusing, and overwhelming. Come join Catherine Anglin from HHS as she breaks down the HHS ALF Requirements into manageable pieces and discusses each requirement in an easy to understand format. Catherine Anglin is currently the ICF, LSC and NF Policy Specialist for Policy, Rules and Training at HHSC. She has worked for the State of Texas Health and Human Services Commission (HHSC) for almost 7 years. She has been the LSC Program Manager and a LSC surveyor in Region 7. During that time she was also cross-trained on Health surveys for Nursing Facilities (NF), Assisted Living Facilities (ALF), Day Activity and Health Services (DAHS) Facilities, and Intermediate Care Facilities for Individuals with Intellectual and Developmental Disabilities (ICF/IID). Prior to working with HHSC she spent 13 years specializing in industrial safety for a joint effort in conjunction with the Unites States Air Force. Catherine enjoys spending time with her family and her Great Dane, Peanut. Learn how Telehealth/Telemedicine is changing the landscape of treating patients in Assisted Living Facilities by creating a safe and comfortable place where residents can avoid unnecessary, uncomfortable and unneeded transfers to emergency rooms, hospitals and visits to their primary care physician while reducing the complexities and resources for the assisted living facilities. Everett D. Holley, MD, has worked in the health care industry for the past 30+ years. As a physician he was trained within the UT Health System. Dr Holley has worked in multiple health care settings. He proudly served our country as a soldier in the US Army. As a civilian he helped develop a medical campaign system that annually provides tens of thousands of people in great need, free health care in the developing world. In the private industry, as an Emergency Medicine physician working in Trauma ERs, Dr Holley has served those in the community when they are in their greatest time of need. The various ways in which Dr Holley has served others in healthcare has driven him to think outside of the preverbal box, to create a means to provide efficient and high quality, affordable health care to as many patrons as possible throughout Texas, and the rest of the USA. Dr Holley formed a partnership with another military veteran to create Express Health Systems (EHS). Through this partnership, they have created a robust TeleHealth practice. EHS has already served patients from 48 states throughout the USA. This is done via HIPAA compliant video conferencing online E-Visits. In addition to this Telemedicine practice, EHS also has physical clinic locations. All EHS clinicians (Doctors, Nurse Practitioners, and Physician Assistants) are American-trained and licensed medical providers. 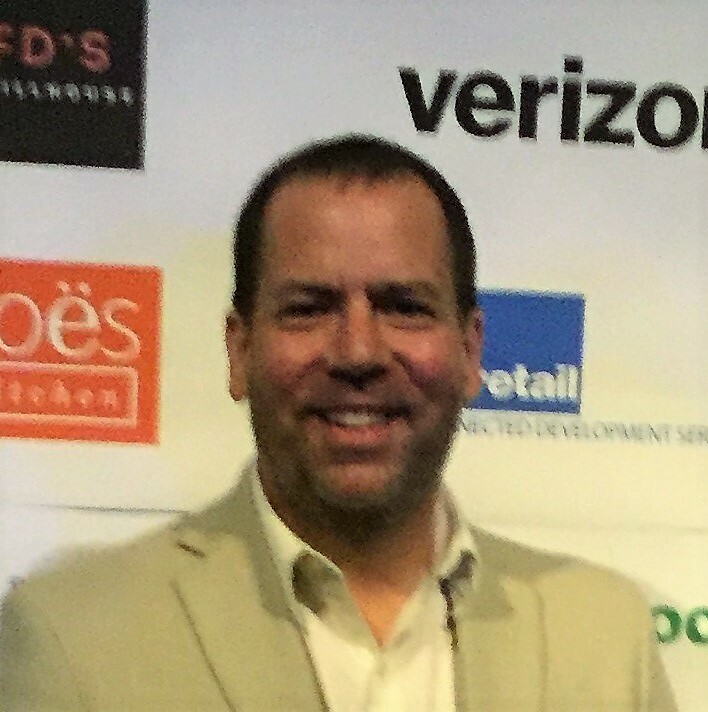 Brian Foster has over 20 years of technology experiences in applied innovative technologies for companies of all sizes, including Fortune 500 enterprises. Renowned for his innovation and expertise in the areas of information technology management, Mr. Foster excels in implementing solutions and tools that support long-term business success. In his current role at Express Health Systems (EHS) as the Chief Technology Officer he is engaged with a team of experienced resources that is focused on building a robust TeleHealth practice. He holds several technology certifications including CISSP. His academic background included rigorous business studies at Tulane University, where he completed the MBA Certificate Program, as well as his undergraduate work at Austin Peay State University. A proactive contributor to society, he served as a Team Leader in the US Army and continues to share his innovative thought leadership as an innovative technology consultant with diverse technical, non-profits and business organizations. Join us to learn about the newly released Alzheimer's Association Dementia Care Practice Recommendations, which outline quality care practices based on a comprehensive review of current evidence, best practices and expert opinions. Find out how professional care providers can use these recommendations to impact person-centered care in their communities. 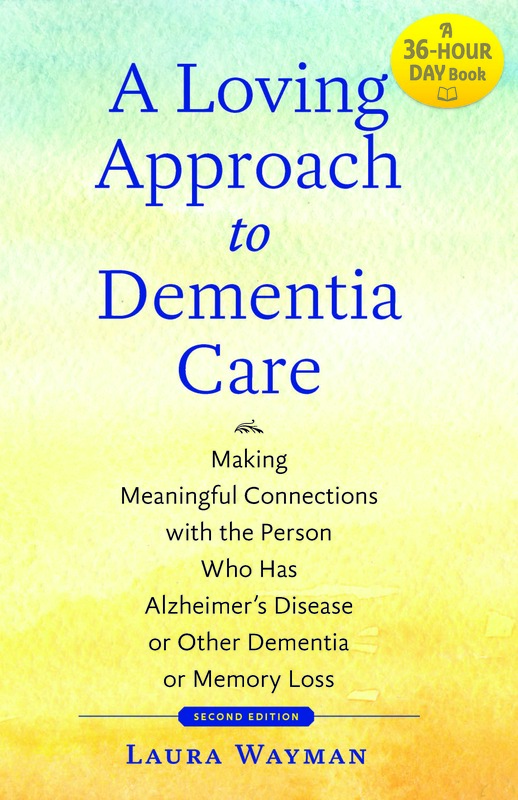 Learn more about the Dementia Care Practice Recommendations at alz.org/quality care. Julie Kutac, MA, PhD is the Professional Education and Research Specialist for the Alzheimer's Association-Houston & Southeast Texas Chapter. Dr. Kutac received her BS in Molecular Biology with a minor in Theology from Texas Lutheran University, her MA in Religious Studies from Rice University, and her PhD in Medical Humanities from the University of Texas Medical Branch. Dr. Kutac's research at Rice University focused upon the ethics of memory and first person illness narratives that captured the subjective experience of Alzheimer's disease. At the Institute for the Medical Humanities at the University of Texas Medical Branch at Galveston, Dr. Kutac continued her studies on aging and elder care as a National Institute of Aging Pre-Doctoral Fellow with the Sealy Center on Aging. Her dissertation focused upon suffering, the elderly, and ways that the medical humanities can improve the practitioner-patient relationship. 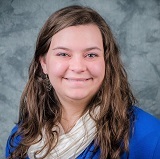 She has been awarded the Chester R. Burns Award in Medical Humanities, the John D. and Ann Stobo Award in Oslerian Medicine and is a member of Phi Kappa Phi Honor Society. As the Professional Education and Research Specialist for the Alzheimer's Association, Houston and Southeast Texas Chapter, Dr. Kutac serves as the content expert for the chapter. Dr. Kutac prepares and delivers engaging, evidence based education programs to health care providers across Texas. Dr. Kutac also liaises with the scientists studying Alzheimer's disease in the Texas Medical Center and Southeast Texas, facilitating connections between the scientists and the community. Dr. Kutac has presented her research at the Alzheimer's Association International Conference, the American Society for Bioethics and Humanities national conference, the Conference on Medicine and Religion, among others. Her writings are published in The Journal of General Internal Medicine, The Journal of the Medical Humanities, and The Journal of Religion and Health. In her free time, Dr. Kutac sings with the Houston Symphony Chorus and enjoys giving her Shih Tzu-Yorkie mix, Lulu, a happy old age. Internet of Things, Smart-Health, Smart-Home -- these are a few of a number of buzz words commonly used to describe the use of internet connected sensors and systems in our homes and businesses. Increasingly deployed around us and more and more commonly using Artificial Intelligence to interpret the data, these systems create both opportunity and issues - especially in care settings. In this session, we will take the time to understand what they are, how they operate, what's available, how they can benefit your operation, and some common barriers to adoption, like security, privacy, interoperability, work flow, culture, etc. Given the demographic reality of the aging population, technology will play an increasingly significant role in providing care. This session is designed to give you enough understanding to be able to ask the right questions to use these technologies to benefit your clients, workers, and operations. John Fitch is the founder and president of Birkeland Current LLC, a small business started in 2009 and located in the Baylor Research Innovative Collaborative in Waco, TX. Birkeland Current develops enabling technologies and systems for a variety of diverse applications. Mr. Fitch has degrees in engineering, physics and space physics, is a Six Sigma Expert, and an experienced project and program manager. Among other experience, he was the Director of Advanced Technology Programs for Raytheon and Advanced Concepts for L-3 Communications. At Birkeland Current, he is an Adjunct Professor of Research at Baylor University, has had four patents awarded, and has formed two companies utilizing Birkeland Current developed wireless sensing technologies. Mr. Fitch has dealt firsthand with aging in place, dementia, and transitional care issues for over a decade. Since 2016, he has worked to developed a wireless sensing and software system that combines device monitoring, real time location, and behavior change detection for aging and disabled persons and their care givers. This new technology has been deployed in various pilot sites during 2017 and 2018 and is expected to be broadly available in 2019. In this session, HHS representatives will cover regulations impacting the ALF industry, and upcoming changes to those regulations based on recent legislation. The Regulatory portion will cover the upcoming rule amendments to the Chapter 92 Licensing Standards for Assisted Living Facilities based on the implementation of House Bill (HB) 2025 and Senate Bill (SB) 924. The ombudsman presentation will review the role and purpose of a long-term care ombudsman, who is a long-term-care resident advocate. The speaker will review resident rights and how they are affected by POA or guardianships. The Life Safety presentation will cover SB 1049, including provisions in the bill that required the agency to adopt a later edition of NFPA 101 (the Life Safety Code) and proposed changes to the Licensing Standards for Assisted Living Facilities that primarily include the adoption of the 2012 edition of NFPA 101. Julie Porter is a Licensed Master Social Worker. In August of 2014, she joined the State Long-term Care Ombudsman program as the Assisted Living Ombudsman. She supports assisted living ombudsmen working around the state, and coordinates with associations and providers. Most recently, Ms. Porter worked as a social worker in healthcare, specifically an acute care medical hospital and a primary care clinic. Prior to that, she worked at HOCTIL, an independent living center, as a licensed bachelor social worker and relocation specialist. In this role, she helped people transition out of a nursing home to assisted living or their own home. Ms. Porter is specially trained in asset-based community practice frameworks and methods of intervention. She holds a bachelor's degree in social work from the University of Mary Hardin-Baylor (2009) and a master's degree in social work from Baylor University (2012). Rebekah Eaddy is the Manager of the Architectural Unit in the Regulatory Services Division of the Texas Health and Human Services Commission. Rebekah reviews plans for new construction of long-term care facilities and remodeling/renovating of existing licensed facilities, conducts licensing inspections of new facilities throughout the state and advises architects, engineers, providers, and local officials regarding current codes and regulations. She is a member of the NFPA Technical Committee for Board and Care and serves as an alternate member of the NFPA Technical Committee for Healthcare for the 2021 edition of the Life Safety Code. 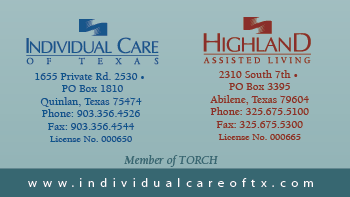 She has presented for Long Term Care provider organizations throughout the state, including the Texas Healthcare Association, the Texas Assisted Living Association and the Texas Organization of Residential Care Homes. Jennifer Morrison is a manager for several programs, including assisted living facilities, in the Long-Term Care Regulatory Policy, Rules and Training section. 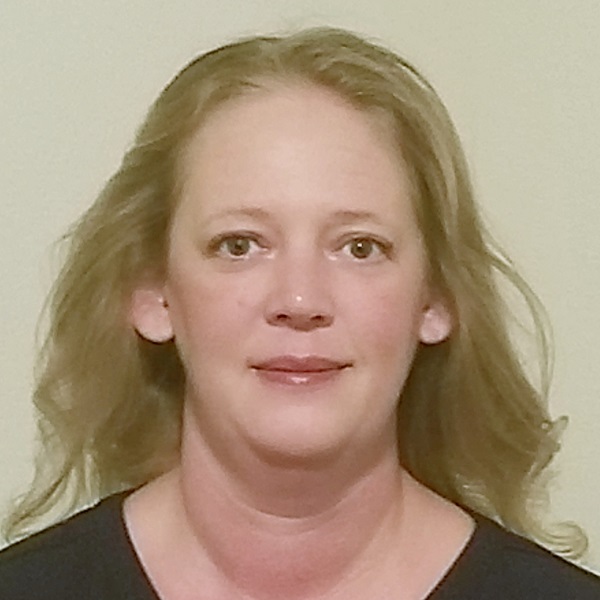 She holds a master's degree in Social Gerontology, a Texas Nursing Facility Administrator License, and has more than 15 years of experience with the Texas Health and Human Services enterprise. This session focuses on nutrition for seniors and how a well-balanced, fulfilling meal can affect a resident in more ways than one to enhance quality of life. Through research and personal information gathered from Ms. Wolfram's 30+ years in the nutrition field, attendees will be guided through senior nutrition focusing on resident rights, dining trends, and the Mini Nutritional Assessment. Cynthia is a Registered Licensed Dietitian with over 30 years experience in Food Service Management and the Post Acute Care Industry. She is Principal/Owner of Dietitians for Health Care, LLP a 52 year old company, employing 10 dietitians, serving seniors in Texas. DHC provides nutrition consultation, menu development and food service management consultation to communities to improve the quality of life for all they serve. Cynthia currently serves as Chair of Dietetics in Health Care Communities for 2018-19. Active at the local, state and national level for many years including the Academy Political Action Committee, serving as Chair in 2011. In her free time, Cynthia is an active gardener, volunteer, and the biggest Dallas Cowboys fan in the city of Houston. Having owned several businesses and completing advanced studies at the school of hard knocks, Terry will encourage you to think differently about your business. Come spend some time and be challenged about what might be. If you pick up one good new idea, this will be a profitable session. See real world numbers and understand what a potential buyer or banker is looking for. Terry owned five businesses starting in 1984, including a full-service automotive service business. He created another automotive service company in 1994 and built processes and procedures to sell the business in 2012. This was the largest distributor of a proprietary software package for independent automotive service. Through joint partnership with Esther and Douglas Cromwell, Avendelle Assisted Living was established in April 2013 and opened for residents in June 2013.